Jan. 31, 2010, 7 p.m. – Jan. 31, 2010, 9 p.m.
Day examines an early Bunker push to prevent an expansion turned into map control with Spider Mines. The game includes counterattacks and harass plus a huge surprise turning point. This episode features an incredible game between HuK and Rain. Day returns to basics by providing general insight into both players’ builds, Unit mixes, and Unit positioning. Day focuses on getting to late game PvT by analyzing the build orders of both Protoss and Terran. Day takes a look at Protoss' long-term game plan and expansion/unit placement. Day investigates the PvT matchup by looking at several high level games between WhiteRa and DDE. 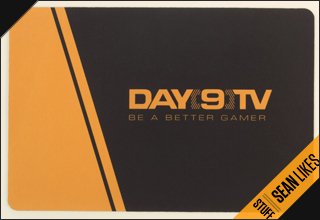 This daily includes overall commentary as well as separate analysis from both the Protoss and Terran perspectives. Day examines Protoss harass vs Terran with Dark Templar and Reavers, the transition to High Templar, and the final push while setting up for the late game.